Books written by British writer Kazuo Ishiguro are on display at a bookstore in Tokyo, Friday, Oct. 6, 2017. Ishiguro was born in Nagasaki but raised and educated in England. He was awarded the Nobel Prize on Thursday. His kindergarten teacher recalls Kazuo Ishiguro as a quiet boy who liked to read books. The British writer left Japan at a young age, but his birthplace became part of his artistic approach, which was recognized this week with the Nobel Prize in literature. "It's like a dream come true," his former teacher, 91-year-old Teruko Tanaka, told Kyodo News service at her home in Nagasaki. She saw Ishiguro when he visited the southern Japanese city after winning the 1989 Man Booker Prize for "The Remains of the Day." "It was a difficult book," she said and laughed. "I had to read the same pages over and over." Ishiguro left Nagasaki when he was 5 years old and didn't make a return visit to Japan for 30 years, but that hasn't stopped some in the country of his birthplace from celebrating his roots. His family moved to England for his father's work, and Ishiguro studied English and philosophy at the University of Kent. Speaking to the media in London after the prize announcement Thursday, the British writer said, "although I've grown up in this country and am educated in this country, a large part of my way of looking at the world, my artistic approach, is Japanese. Because I was brought up by Japanese parents, speaking in Japanese inside a Japanese home. And so I think I've always looked at the world partly through my parents' eyes, as we all do." On a visit to Japan in 2015, the British writer said his knowledge of the country is largely based on childhood memories, said Keiko Nagano, an editorial staff member at Hayakawa Publishing Co., which has translated his novels into Japanese. He clearly remembered his old neighborhood in Nagasaki, even the name of a department store, she recalled. "I was so impressed by his memory, and thought that he still treasures his memories of where he came from." In his debut novel "A Pale View of Hills," Ishiguro describes Nagasaki soon after the 1945 U.S. atomic bomb attack that killed more than 70,000 people. "I'm so proud that Nagasaki is remembered as an indelible scene from the great author's childhood memory, becoming an important motif of his work," Nagasaki Mayor Tomihisa Taue said in a statement, adding that he hopes Ishiguro will visit soon. While his first novels were set partially or entirely in Japan, Ishiguro shifted mainly to Europe for his later works, including "Remains of the Day." The Japan he writes about is a bit imagined, his personal Japan, writes Richard Medhurst, an editor at Nippon.com, a Tokyo-based website that seeks to introduce Japan to a global audience. 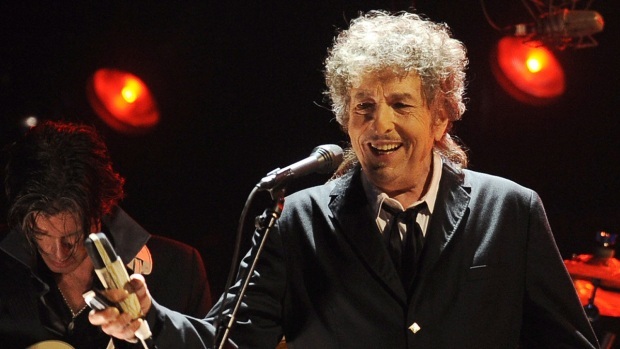 American singer-songwriter Bob Dylan won the 2016 Nobel Prize in literature on Oct. 13, 2016, a stunning announcement that for the first time bestowed the prestigious award on a musician. "It's not quite the way you normally relate to a country, but he had this very strong personal connection to it," he said in an interview Friday. In some of Ishiguro's later works, Medhurst sees a sense of dislocation that may reflect the author's background, a person living between two nationalities. 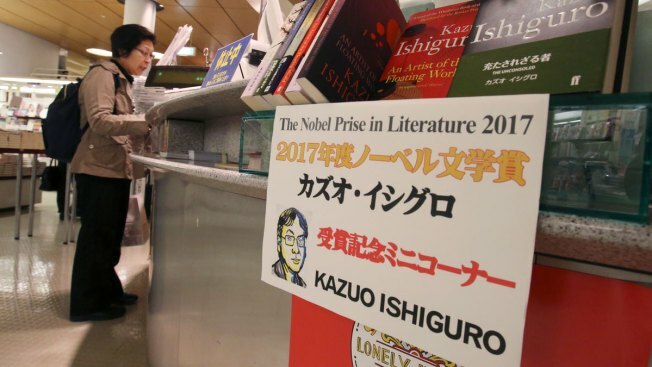 Ishiguro's Nobel came as a surprise in Japan, where for several years the talk has been whether Japanese author Haruki Murakami would win the prize. Speaking in London, Ishiguro said he is in discussions with people to work on a graphic novel. "This is a new thing for me and reconnects me to my childhood, my Japanese childhood of reading manga," he said. Associated Press writers Jill Lawless in London and Ken Moritsugu in Tokyo contributed to this story.